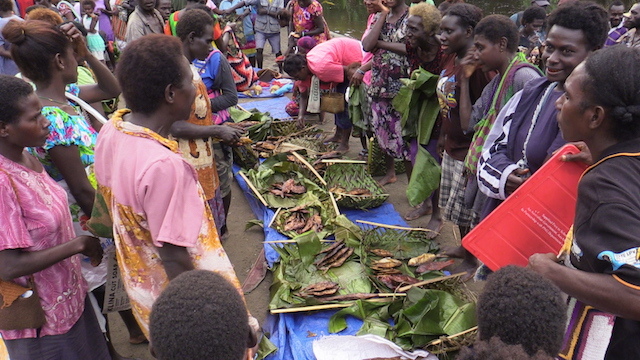 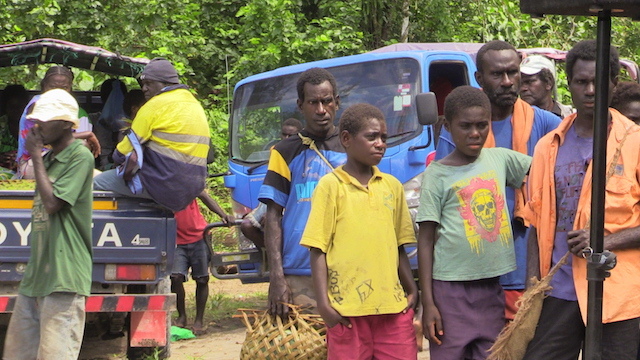 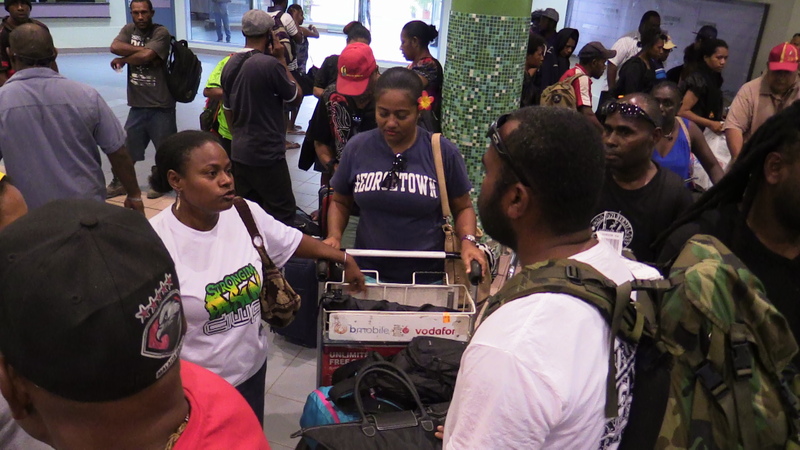 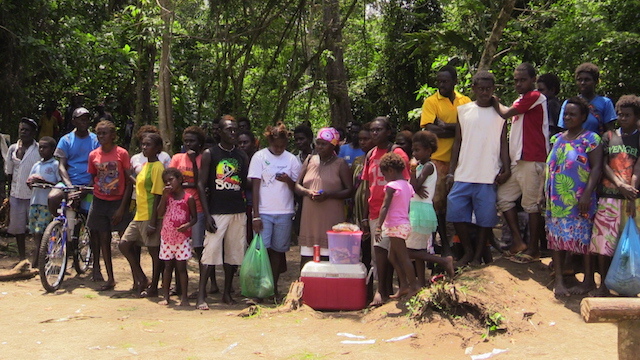 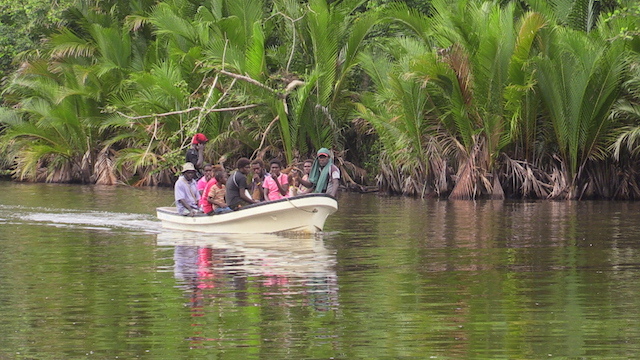 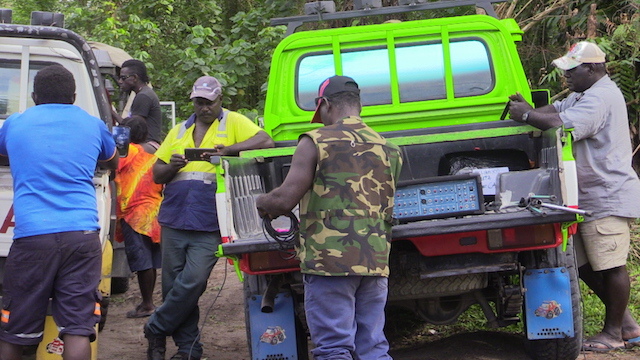 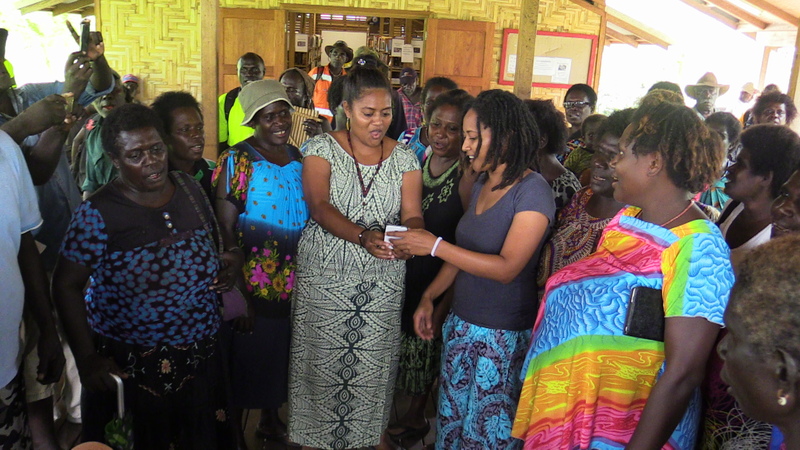 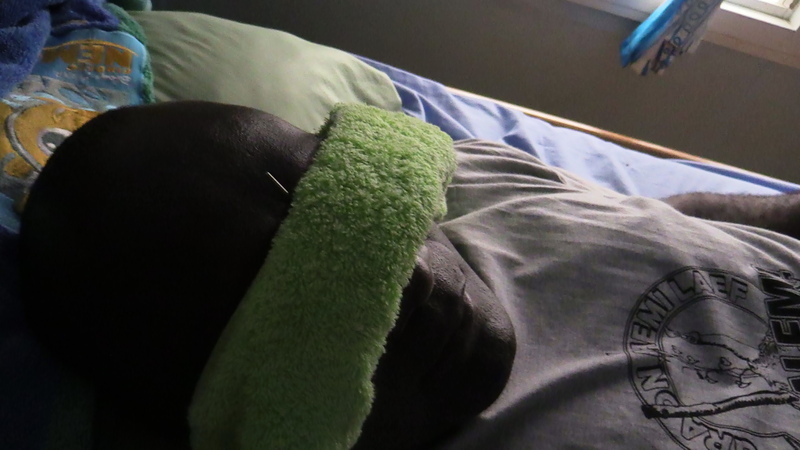 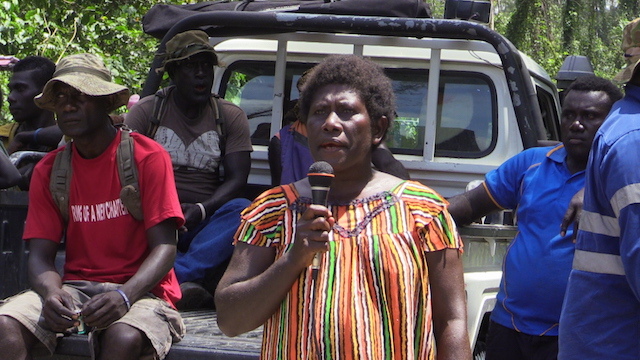 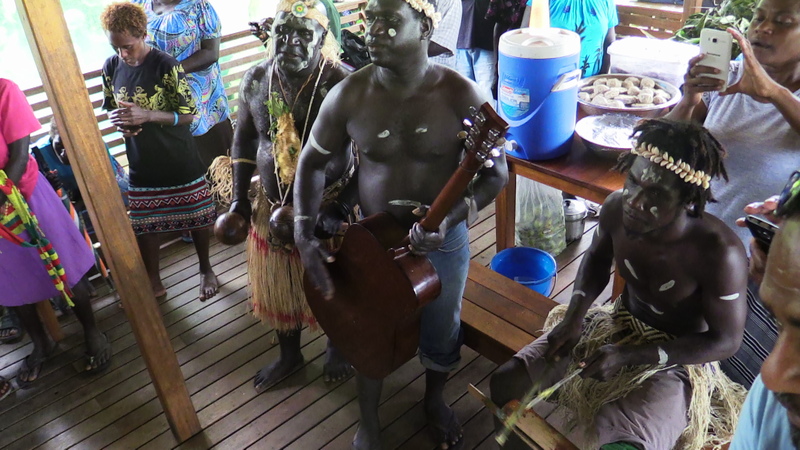 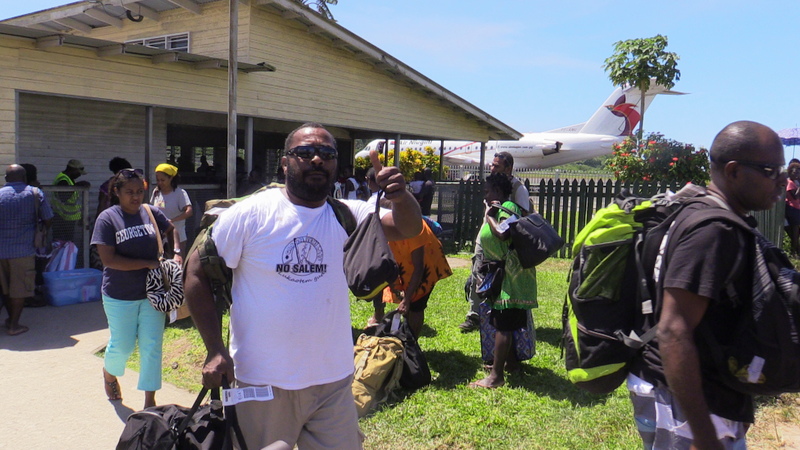 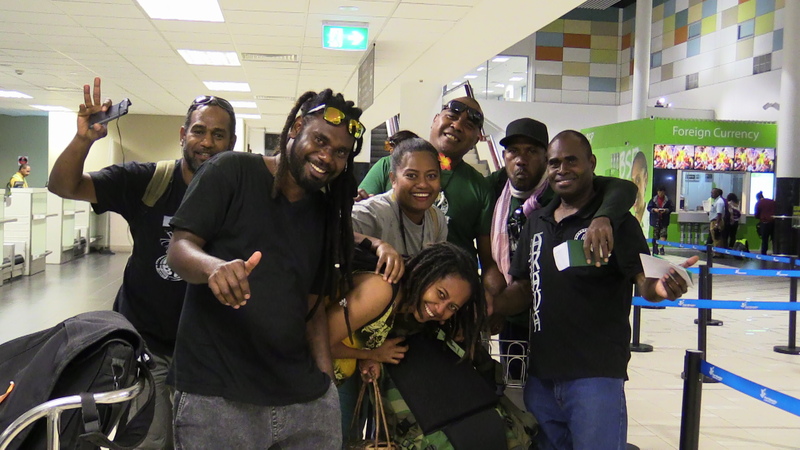 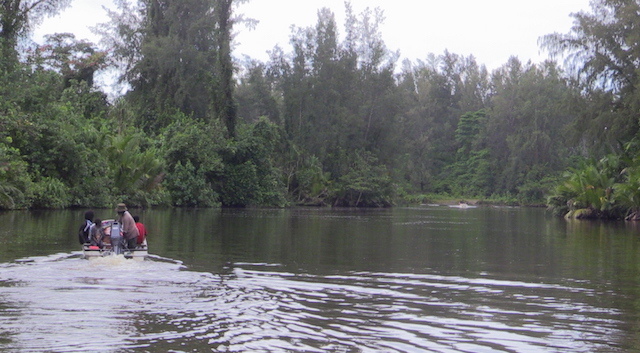 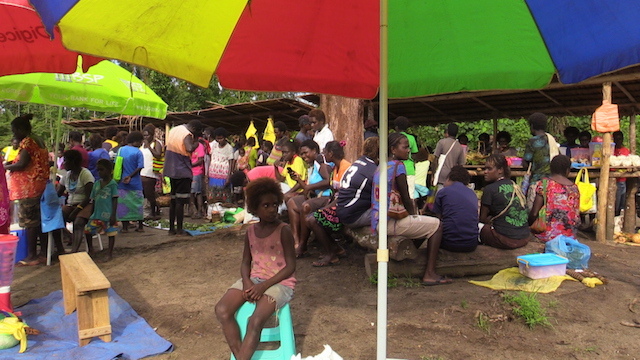 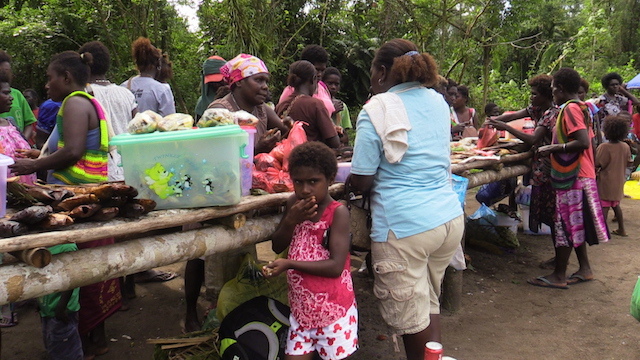 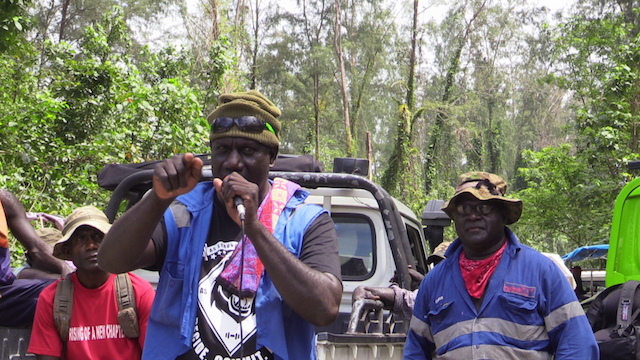 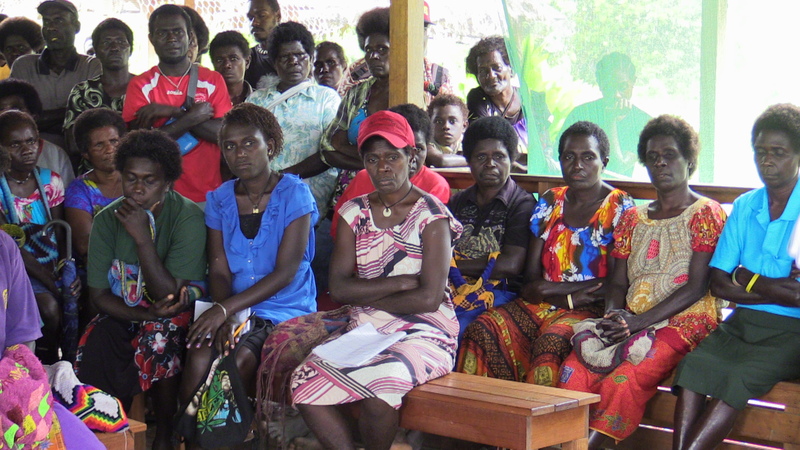 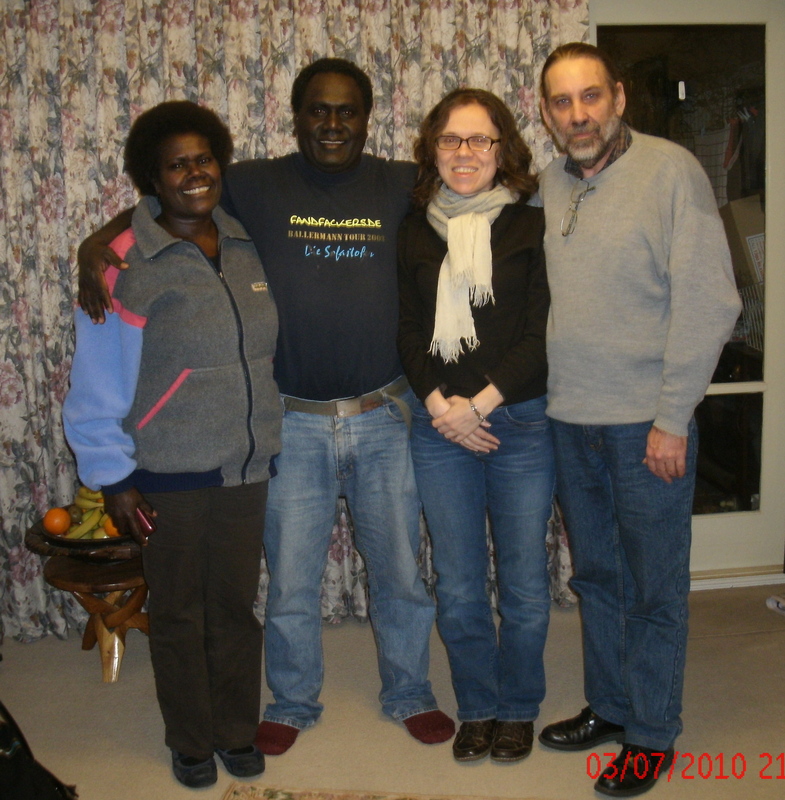 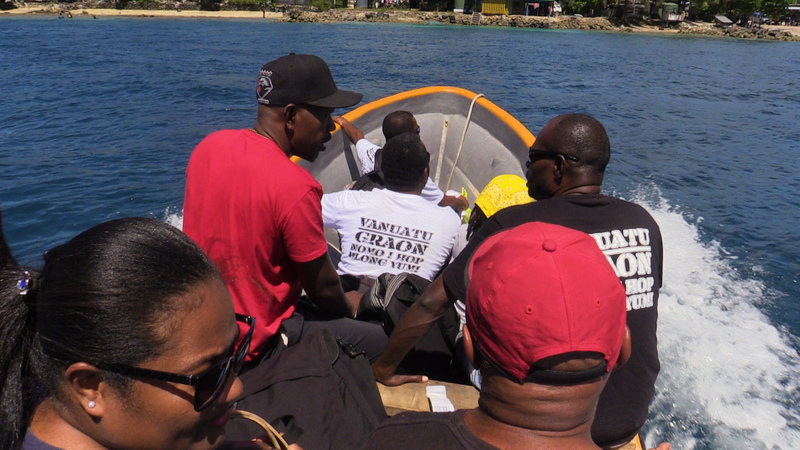 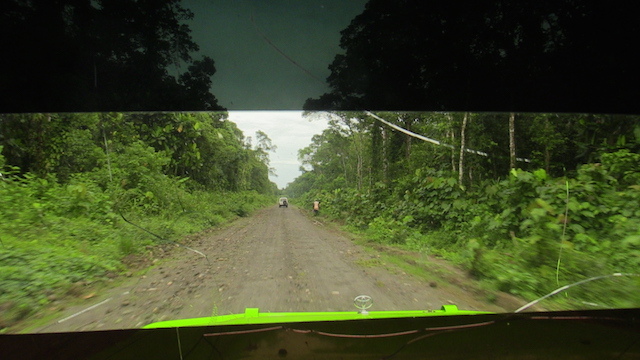 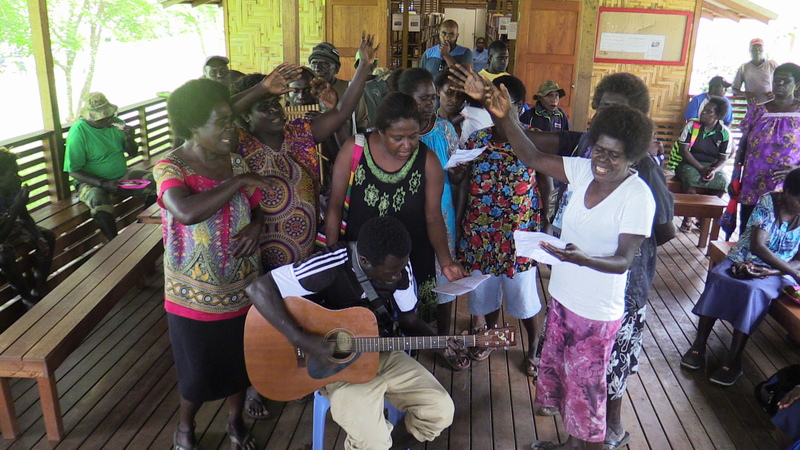 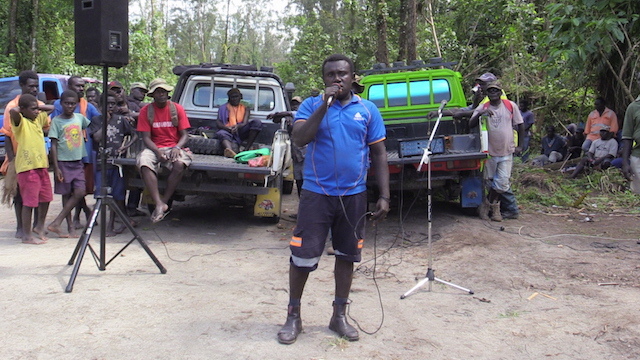 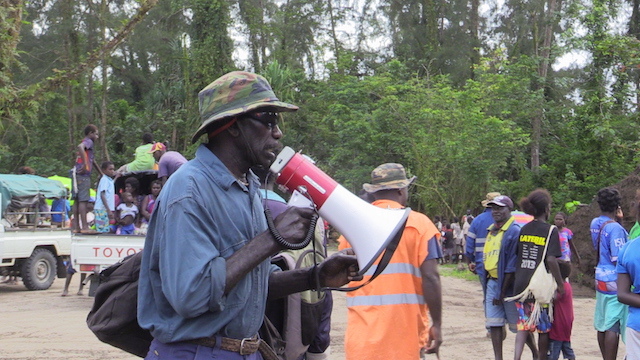 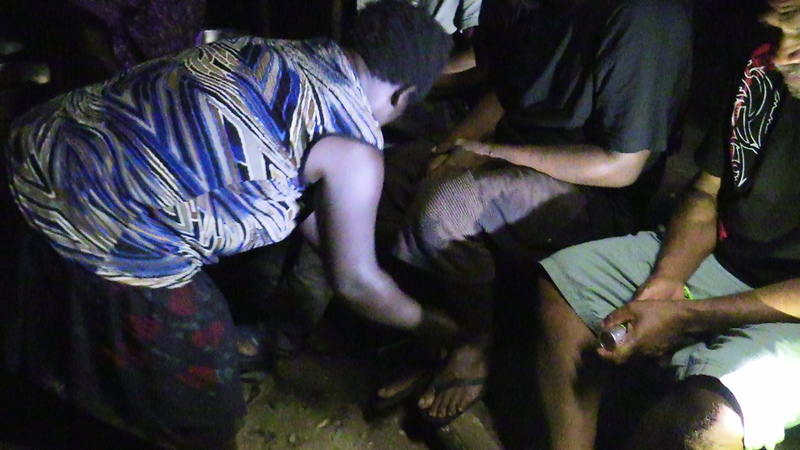 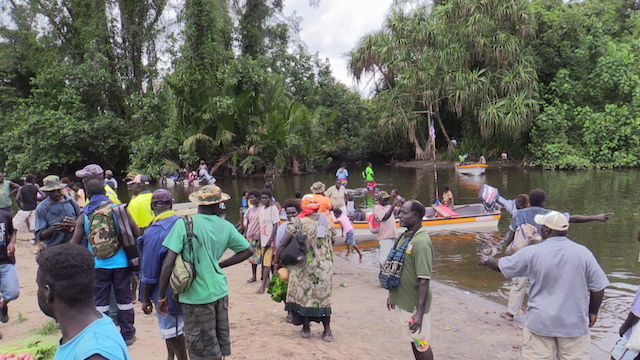 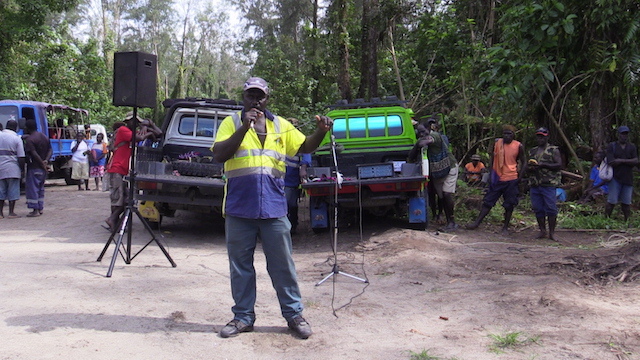 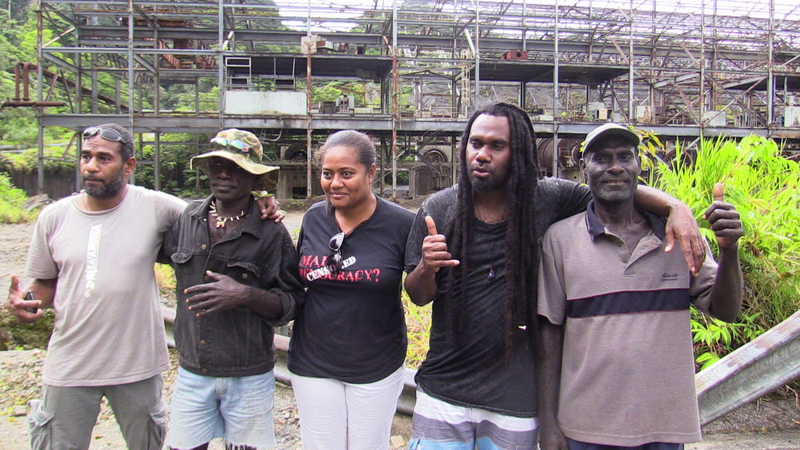 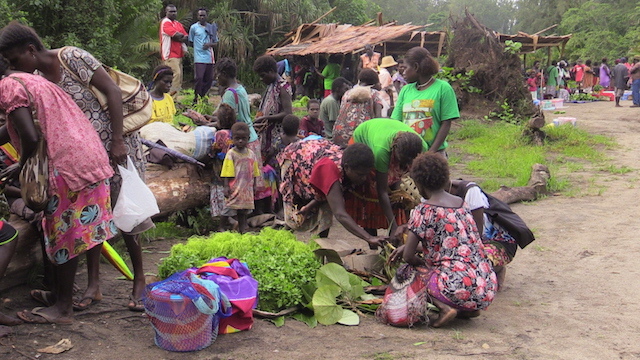 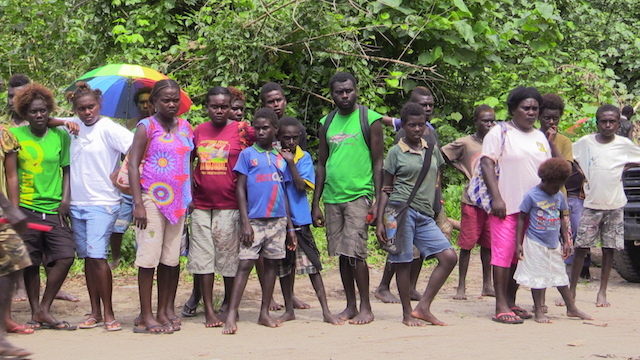 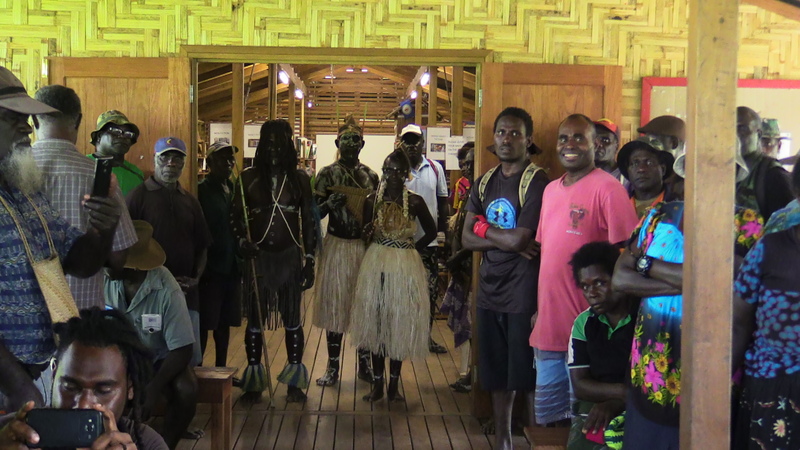 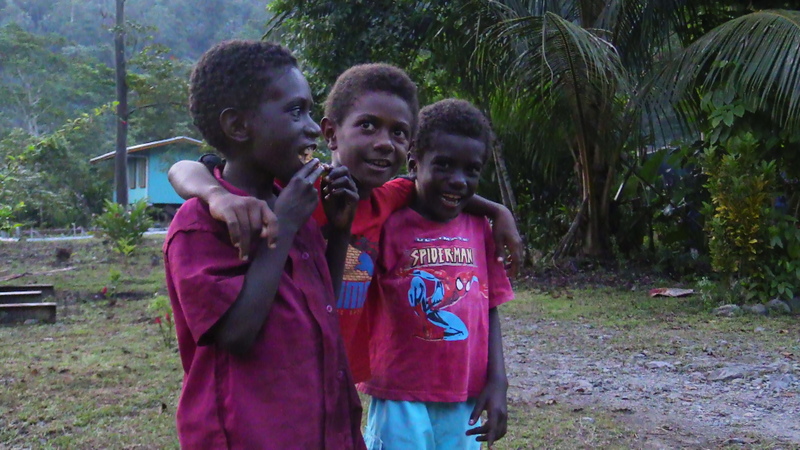 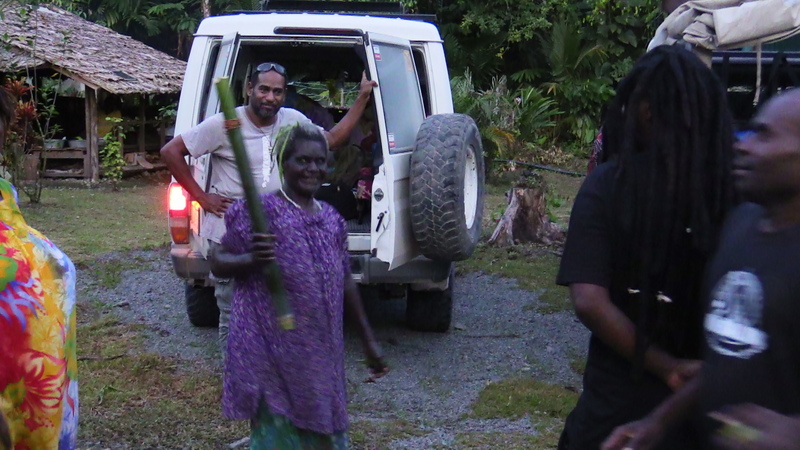 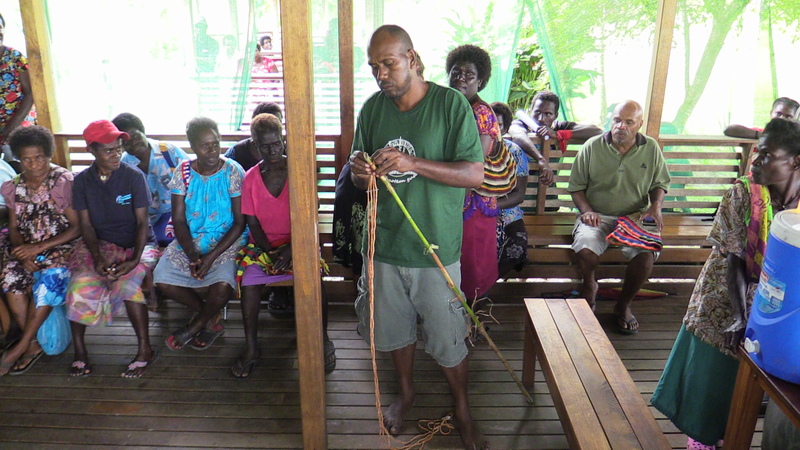 Bougainville Hardliners awareness going outside of Arawa, last saturday they travelled to Marau on Bana District in Nagovis South Bougainville. 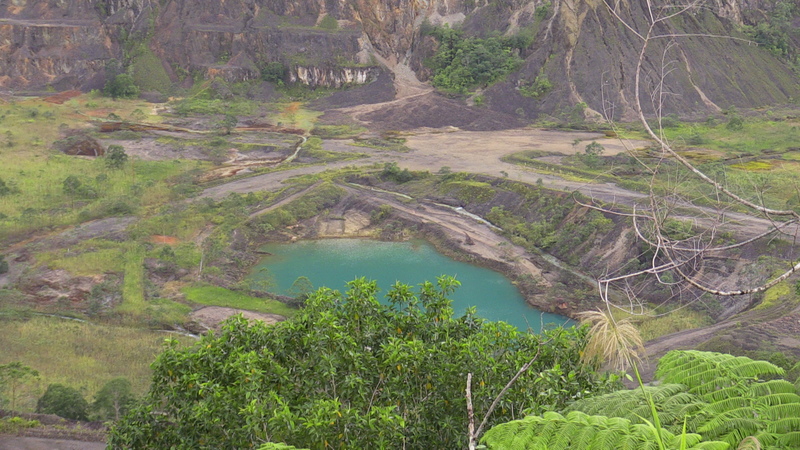 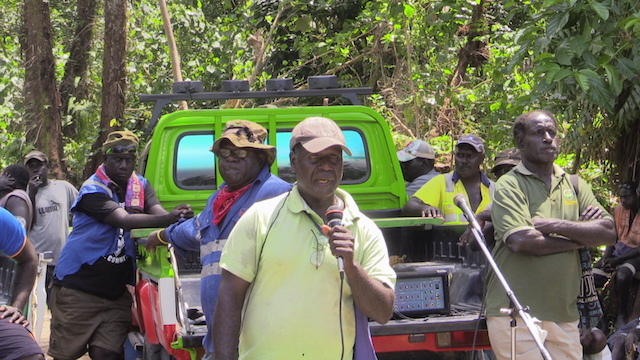 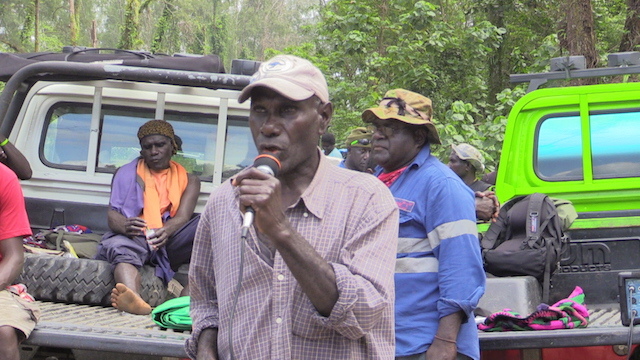 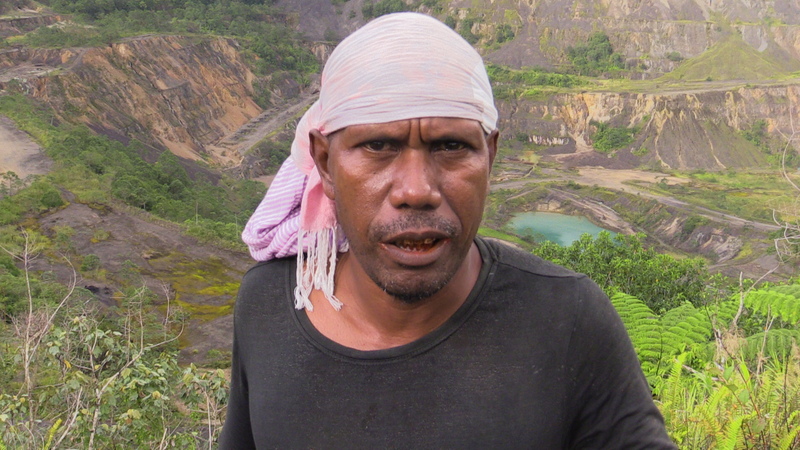 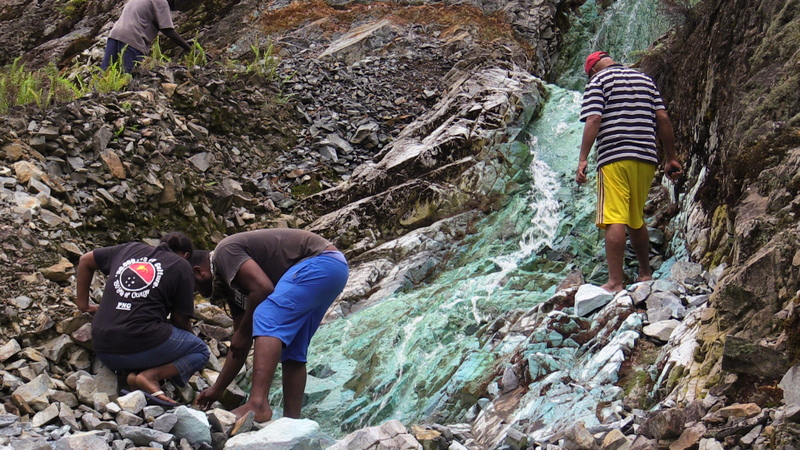 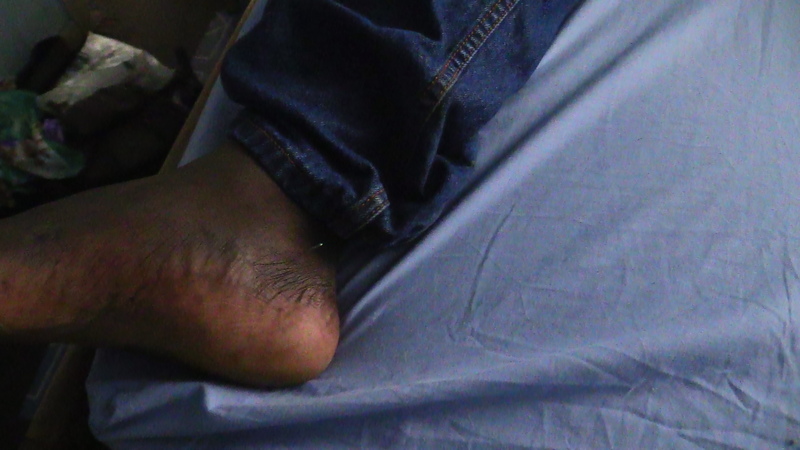 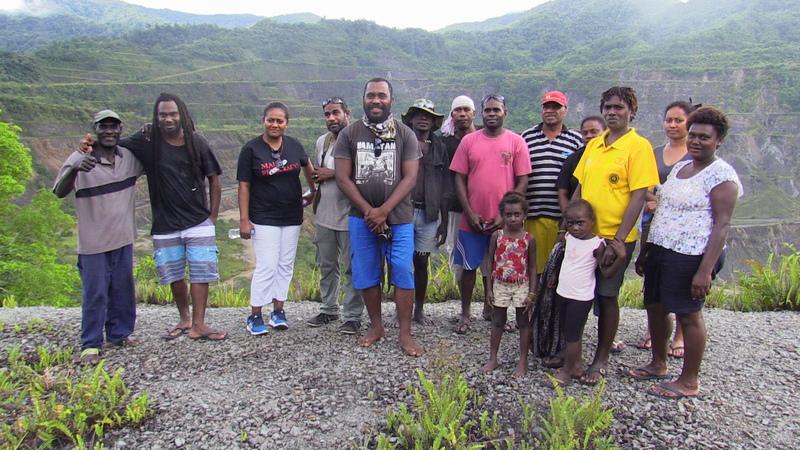 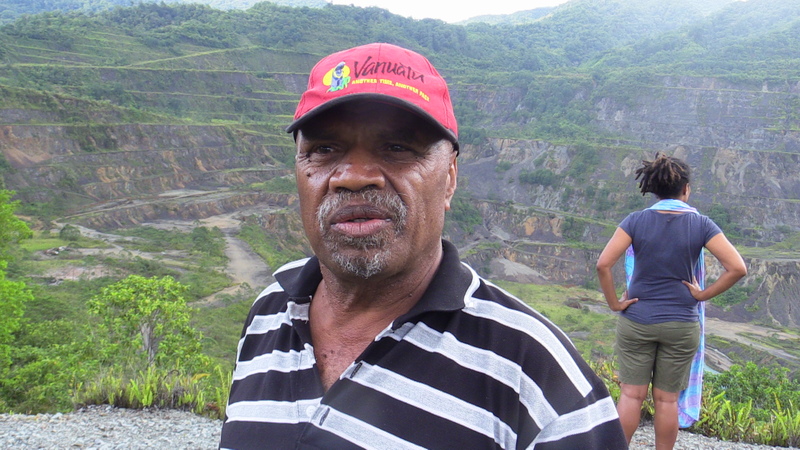 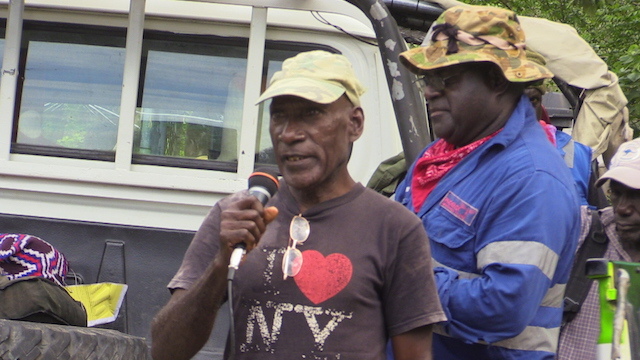 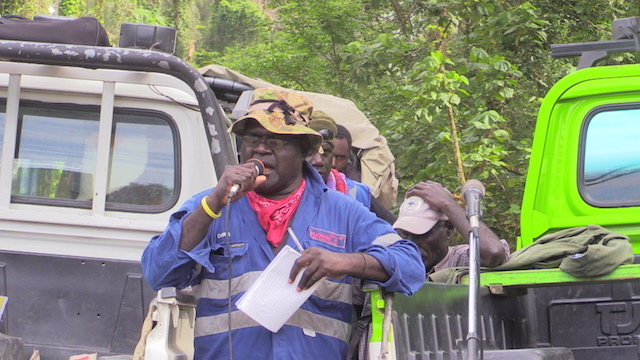 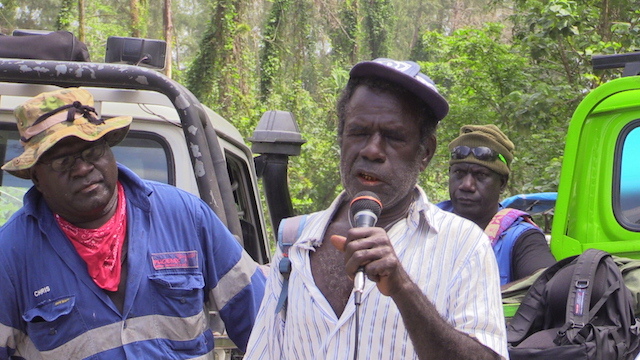 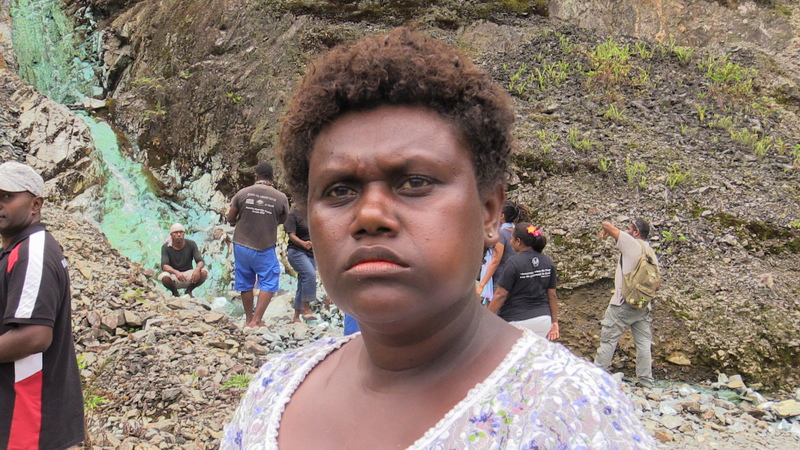 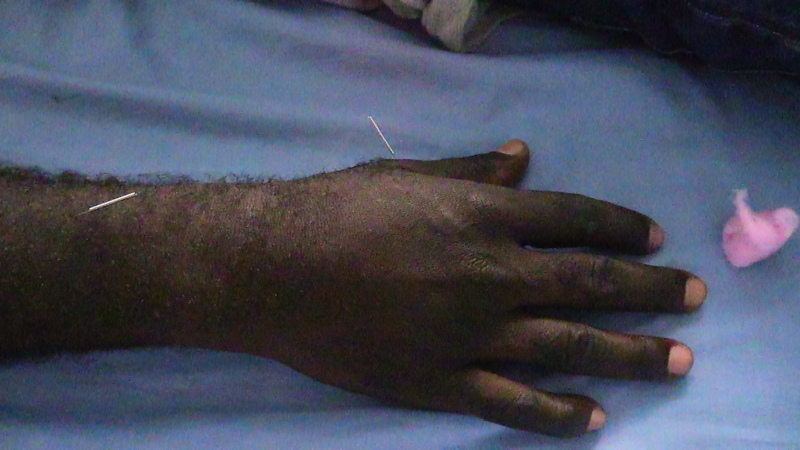 The awareness is to tell the people of Bougainville why they are stopping Belkol between Panguna Landowners and Bougainville Copper Limited or BCL. 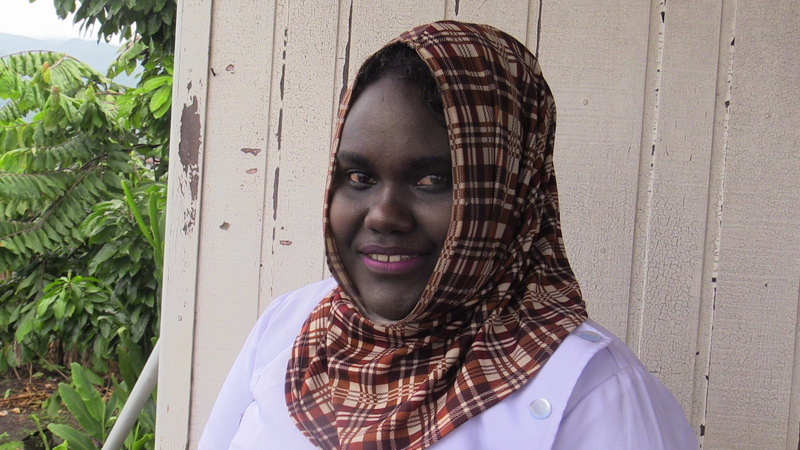 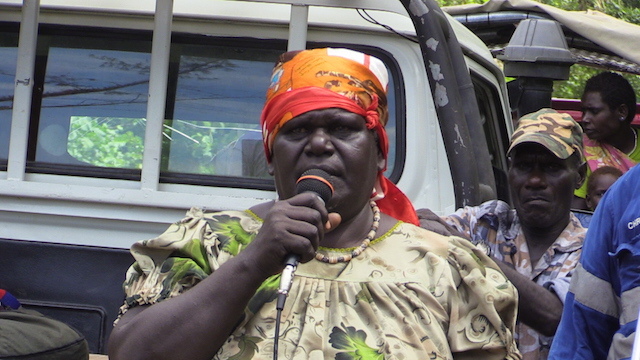 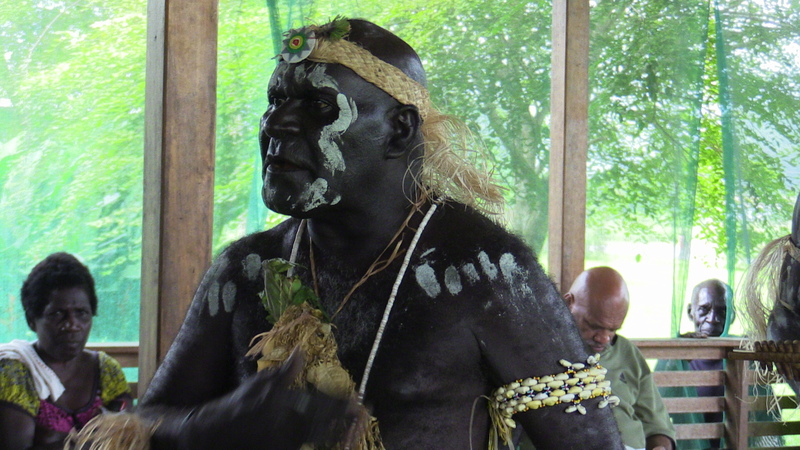 In Marau before they speak, Chief of the area welcomes them and told the people to listen carefully and makes a wise choice because they had seen the destruction the Company cause to their land. 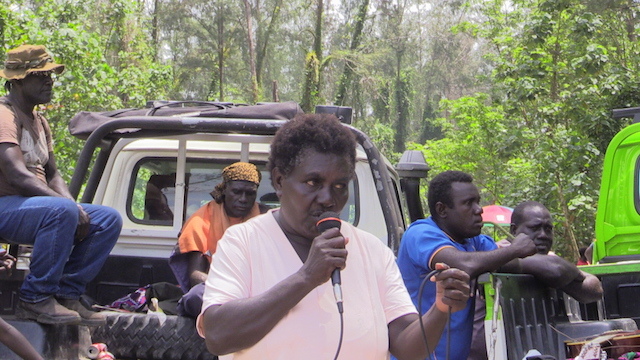 Lyneth Ona answering a question. 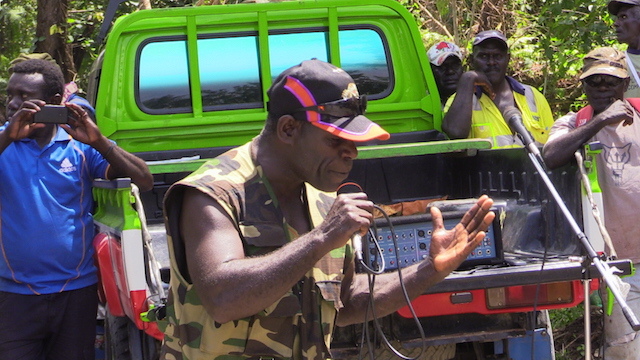 The Bougainville Hardliners make it open the awareness for everyone who has a comments or remarks, everyone spoke on that day are all against belkol and reopening or the mine..after listening to the speakers they come to know why Bougainville Hardliners are putting a stop to it. 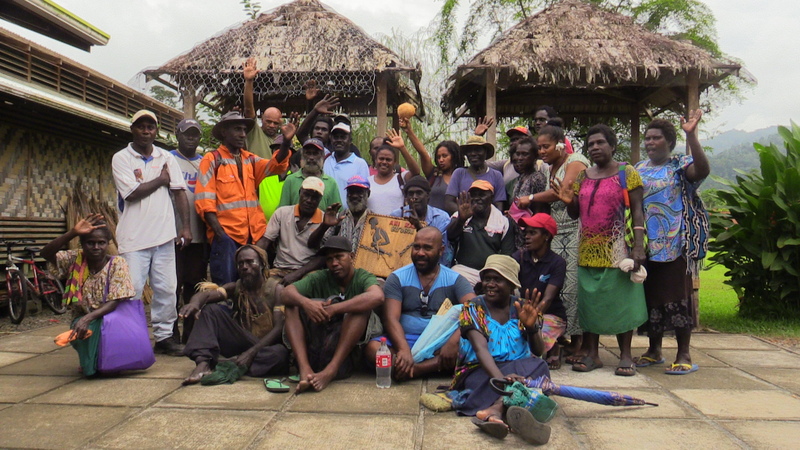 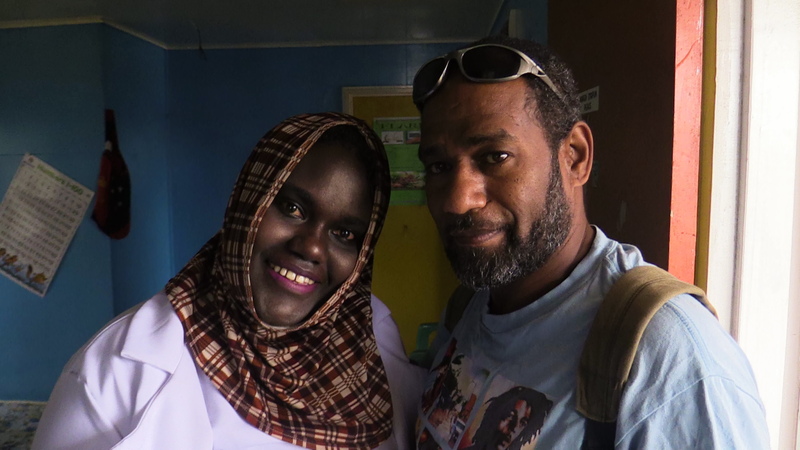 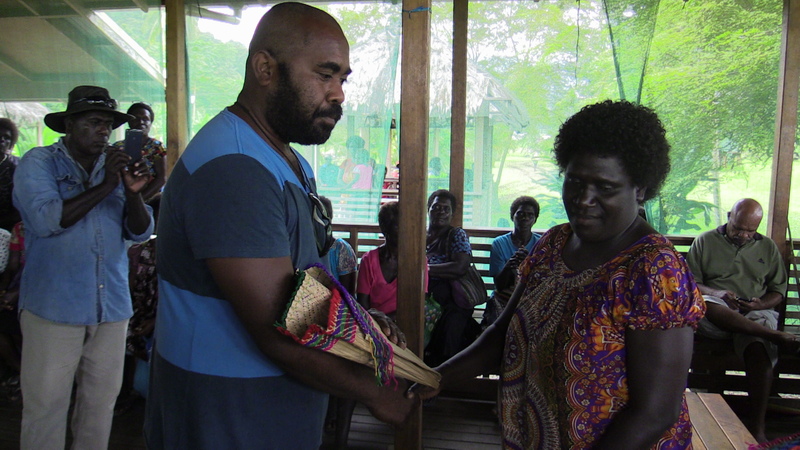 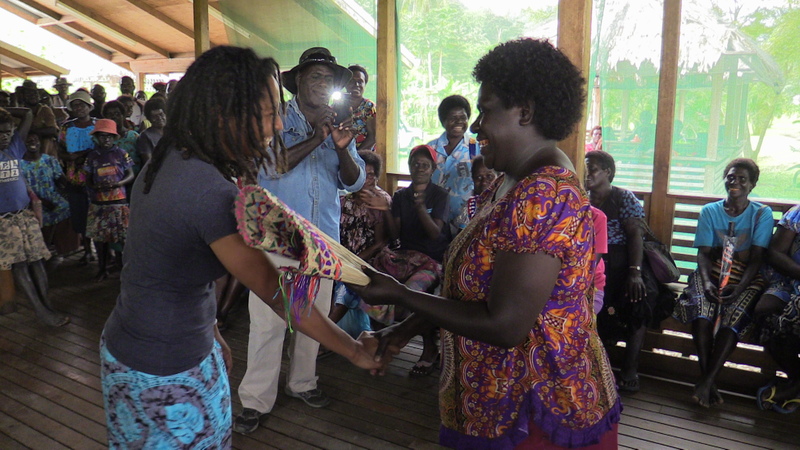 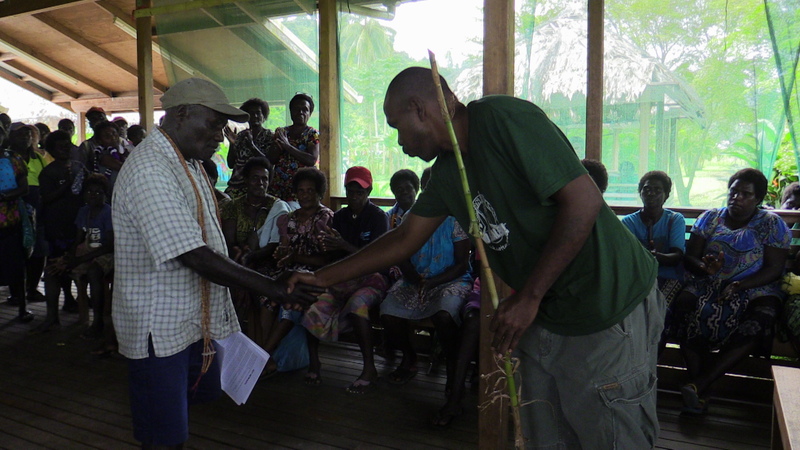 On saturday I travelled to Marau upon invited to the Bougainville Hardliners by the Chief of the area for the awareness program they started in Arawa a week ago. 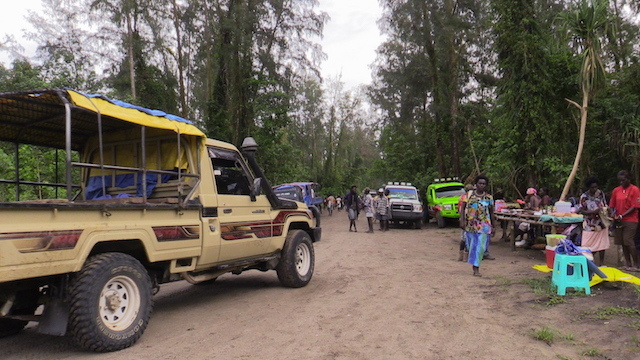 Marau or Sunset Market was started 5 months ago as told to me by the Security Peter Kamung, he was the first and former security of Arawa main market. 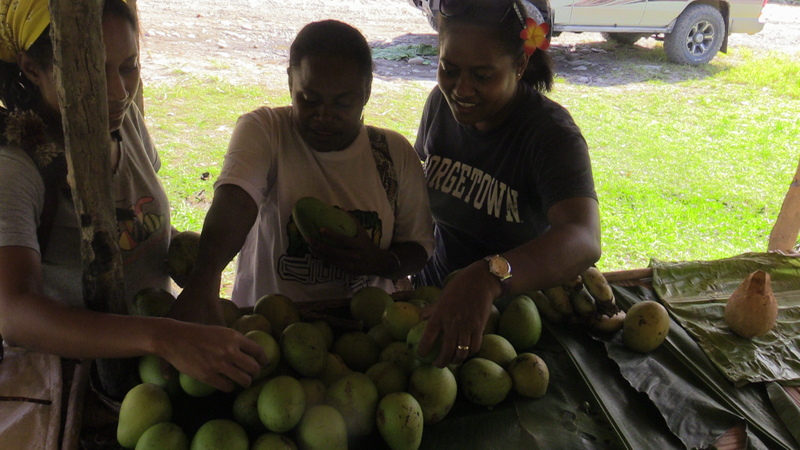 I really enjoyed eating all kinds of local food.It was similar to the Buin Market, it happens every saturdays. 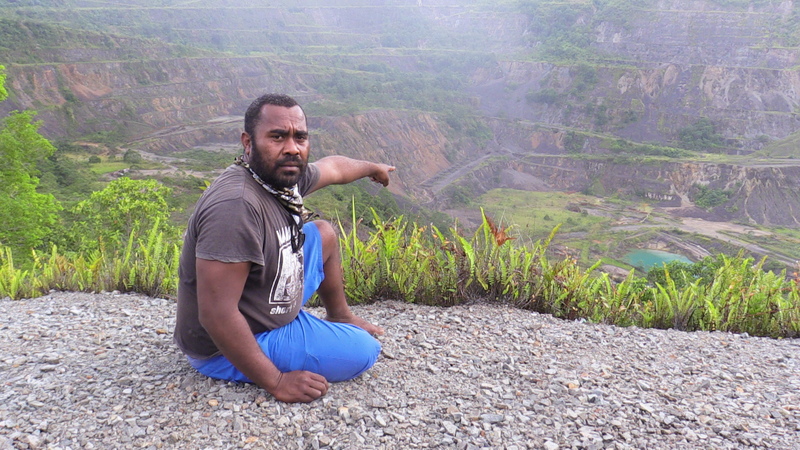 I was told that where the market is now it was use to be sea after the mine close and the dumping of waste strong it becomes land and trees growing on it.